A compact and beneficial travel guide for Nairobi visitors. Smart advices about accommodation options, restaurants, activities and attractions of the city. Nairobi is the capital city of Kenya, a country located in the Eastern part of the African continent. 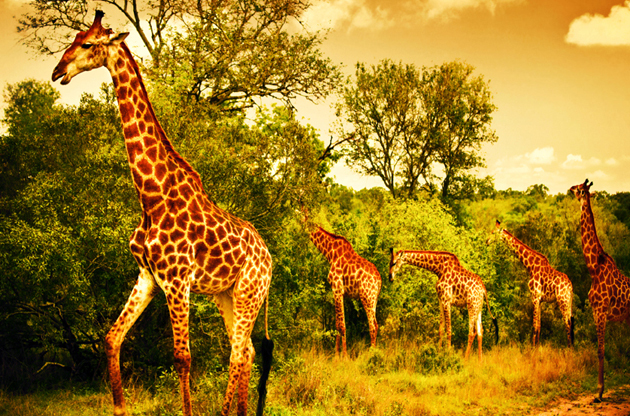 A visit to Nairobi will provide visitors with the ultimate experience of a good get-away trip. On arrival to the city, visitors should expect to see a green city under the sun. The city experiences warm weather throughout the year, therefore, a visit to the city at any time of the year would still provide the visitor with a good feeling. When visiting Nairobi city, you may want to visit the national parks and museums which are located in the city. A visit to these places will shower you with the true feeling of the African spirit. Interacting directly with the nature and the wildlife will make you enjoy your visit to Nairobi to the most. Nairobi city is also known for a number of famous delicacies. Dishes such as the githeri or ugali happen to be very famous dishes among the locals. Your Nairobi trip will not be complete without trying out these dishes. The most common language that is spoken in the city by the locals is Kiswahili. However, they are also capable of communicating in English. When making contact with the locals in the city, it is appropriate to talk in their native language which is Kiswahili. It is advisable that you enlighten yourself with simple phrases such as greetings and how they shake hands. Nairobi city is located in East Africa in the country of Kenya and it is a province on its own that is called Nairobi province. It is situates in the highland regions of the country of Kenya. On arrival at the international airport, there are several options of transport that can be used to get to the city centre. From the airport, you can take a cab and reach to the city center at an affordable cost. There are also shuttle buses available from the airport that you can prefer. These buses are very affordable and are ideal for use by people in large groups. There is also a recently constructed railway station a few kilometers from the airport that can take you to the city center. Nairobi National Museum is located five minutes drive from the city center. It is home to the various items that hold traditional value. The museum forms one of the major tourist attraction sites in the country. A visit to the museum will give you the chance to see the different types of snake species that are available and also skeletons of extinct animals such as the dinosaurs. Another attraction point in Nairobi is the National Park that is a 20 minutes drive from the city center. The park consists of a drive through section, where viewers get the opportunity to drive in to the game reserve in the natural habitat of the animals and get the opportunity to see them free in the area. Alongside the drive through section, there is also a walk through section whereby the animals are all displayed in cages thereby allowing viewers to freely walk through the park and view the different types of animals that exist while at a safe distance. Kenya is home to some of the most luxurious shopping malls in the East African region. These malls stock everything that you may want to buy. Most importantly, you can buy products that are antiques and represent the true African spirit. Items such as bungles and bracelets provide a good representation of the Kenyan culture. Such products would make perfect gifts when you travel back to your home country. The city of Nairobi boasts some of the most elegant restaurants in East Africa. Most of the restaurants continue operating late in to the night just to provide customers with their unique services whenever necessary. The city is also home to various five star hotels which will most definitely change your entire dining experience and give you one that you will never forget. During the night, there are night clubs located throughout the city that provide customers with the ultimate partying experience throughout the night. A tour to the Bomas of Kenya is normally done on a daily basis taking around 2 hours. There are also tours to the Nairobi National Park which takes nearly 4 hours per tour. These tours are also done on a daily basis. Through these tours, visitors will get to see the various wildlife that the city has to offer. Being the capital city of Kenya, a rising star of Africa, Nairobi has been growing as a international meeting destination in the recent years. Its unique tradition and beautiful nature makes Nairobi a charming point while its competitive world class venues and hotels creates a perfect environment for global events like tradeshows, fairs, exhibitions, congresses, conferences and symposiums. Each year numerous sector leading events are held in the city and every time Nairobi makes more and more distinguished events.